Sous Chef on a yacht is a trained and experienced cook who assists the chef in the galley taking into account his/her instructions. He/she is able to replace the chef in his/her absence, to manage the cooks in a seamless manner, to plan the menus and to implement health and safety instructions. A Sous Chef may be appointed to cook dishes for the crew or meals for the guests with the guidance of the chef. 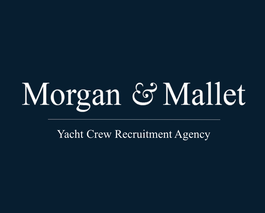 Morgan & Mallet Yacht Crew Recruitment Agency recruits candidates for Sous Chef positions with at least 3 years of experience on yachts and in upmarket restaurants.